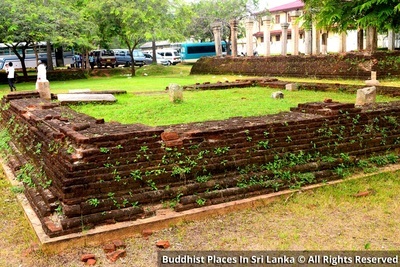 ​Mayura Pirivena (Training school for novice Buddhist monks) was built by the king Buddhadasa (340 - 368AD) and this was a paage of Mahavihara Monastery. 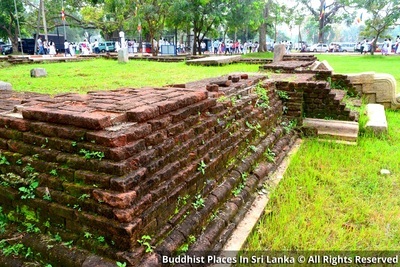 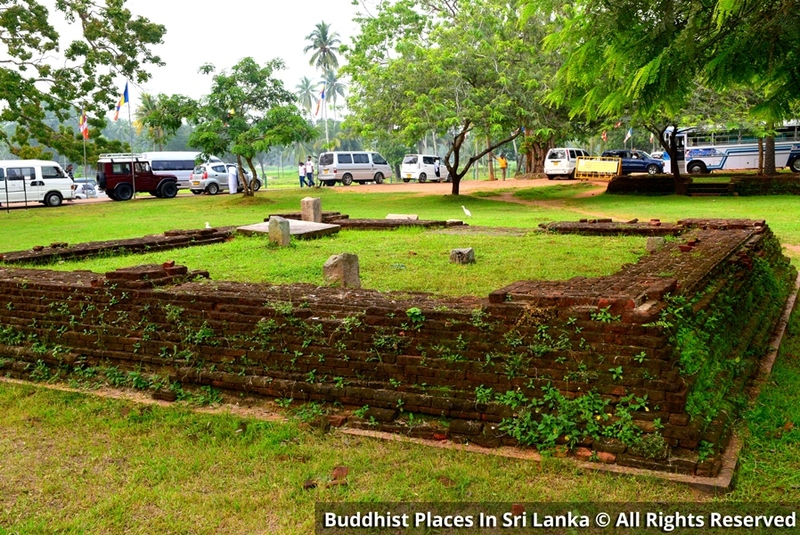 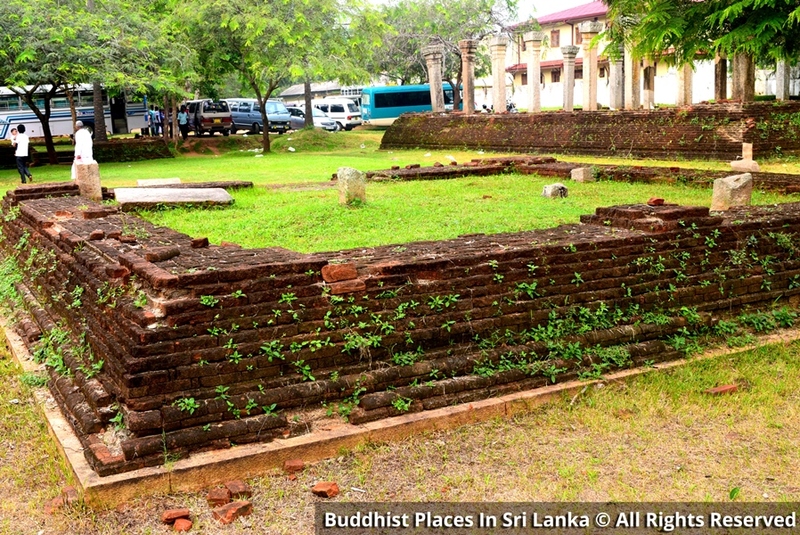 This site is situated at the south - west of the Sri Maha Bodhiya. 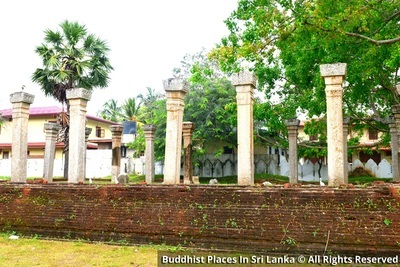 According to the Mahawamsa, a conation of villages was made for maintenance. 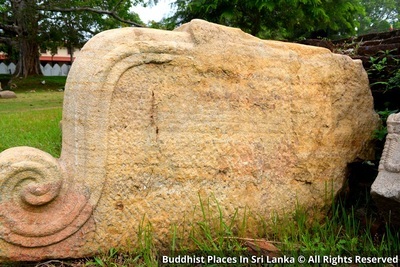 The original was replaced by king Dathusena (455 - 477AD) and king Mahanaga (573 - 575AD) effected some repairs to it. 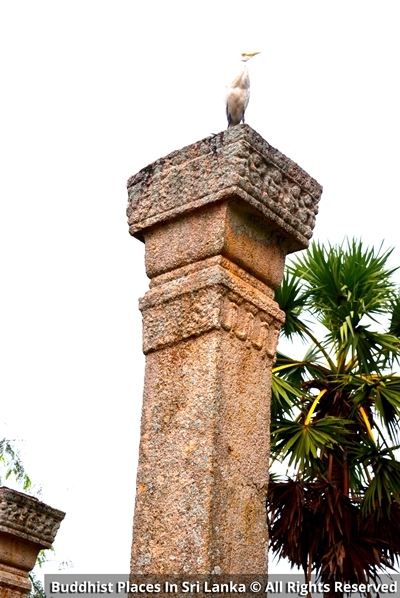 The present building has a few stone pillars with sculptured capitals, left from the old building. 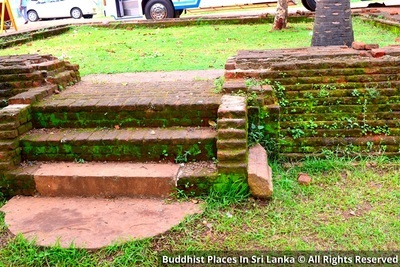 The entrance is the building is by a flight of steps with a moonstone at its foot depicting the half of a lotus in the middle. 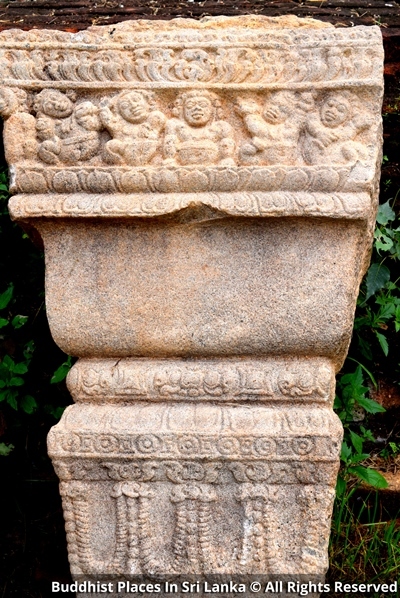 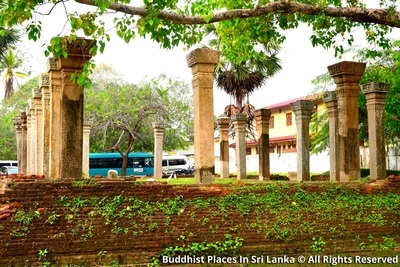 On the architectural features of the Anuradhapura period this has been identified as one of the parvenus belonging is the pancavana category of buildings. 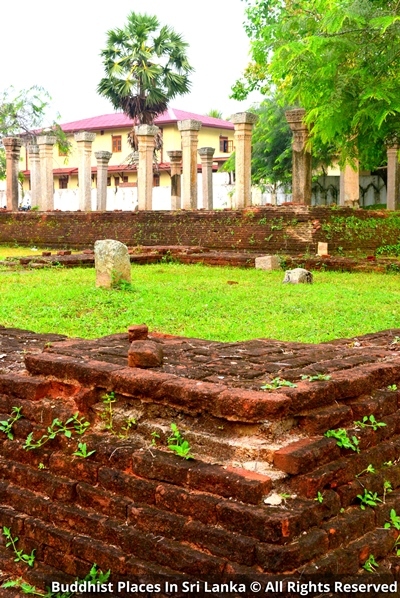 Half titles, bricks, pottery, iron nails and beads have been discovered among the remain of the building. Excavations have been done in 2012 by the Archaeological Department.